Capability and dependability are combined perfectly with the 2017 Ram ProMaster 1500. Whether you work in construction or on a delivery route, if you want a vehicle that you can trust and that will make deliveries and work easier, this one is it. With the 260-degree swing-open rear doors and side sliding doors that will accommodate standard size pallets, you will find it simple to carry the materials and products that you need to do your job or make your deliveries. The forklift can put the pallet into your van without issue making it easier and saving you time. At Tempe Chrysler Jeep Dodge Ram, you will find a wide variety of vehicles for you to choose from to drive for your commute back and forth to work or to enjoy on the weekends. 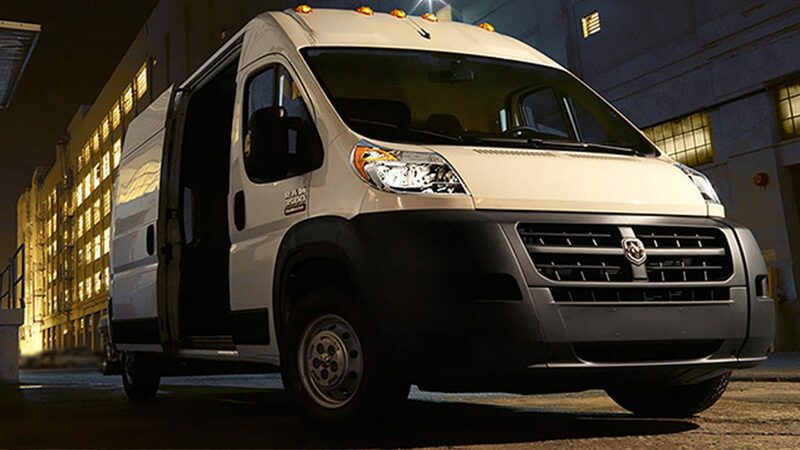 For tough jobs, such as deliveries or construction, you want a tough vehicle and we offer the 2017 Ram ProMaster 1500 in Tempe, AZ that will fit that bill nicely at Tempe Chrysler Jeep Dodge Ram. For the best in service and repairs, visit us for your test drive today. The 2017 Ram ProMaster 1500 is made for hard work, but that doesn’t mean that it has to be uncomfortable to ride in. The interior offers a comfortable command center that has everything you need at your fingertips to keep you going all day and night long. Some impressive technological features include Uconnect® 5.0, hands-free calling, Bluetooth® streaming audio, Sirius XM® radio and more. These features allow you to make the 2017 Ram ProMaster 1500 your office on the go. 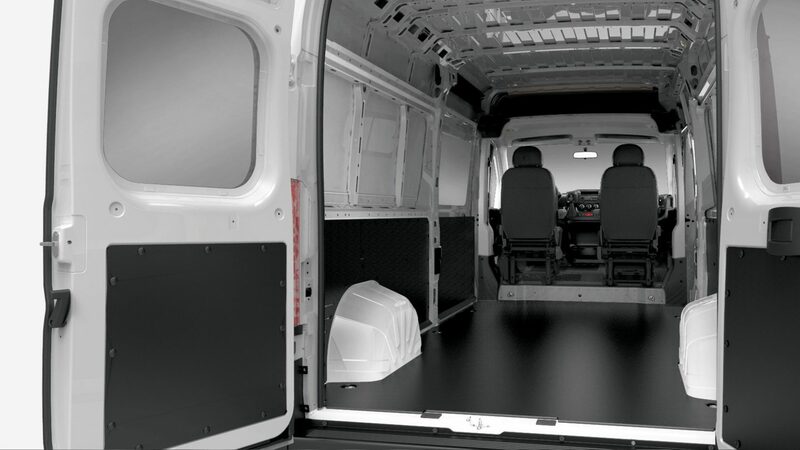 This, along with the almost 90-degree walls, give this van the cargo space to make it your warehouse on wheels to get the job done in the most efficient way possible. The 2017 Ram ProMaster offers you the cargo space and power that you want and need in your delivery and towing vehicle. Whether you are using it to go back and forth to work or to deliver to construction sites, you want a vehicle that you can trust, which is what you will get when you purchase this vehicle from Tempe Chrysler Jeep Dodge Ram. You work hard and your vehicle should, too. 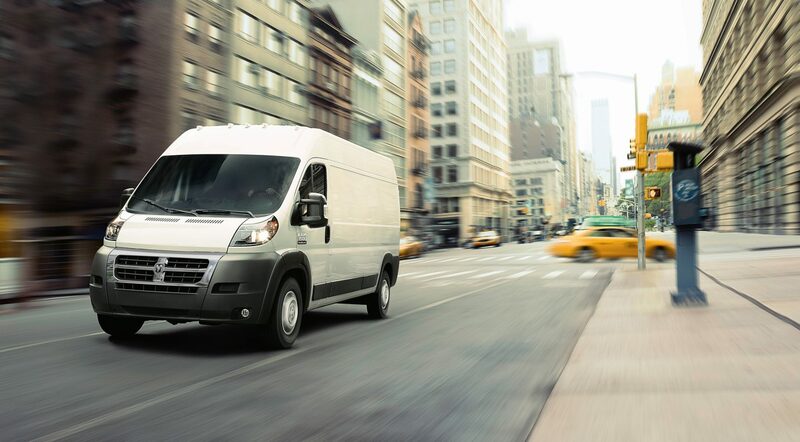 Take a test drive of the 2017 Ram ProMaster today.